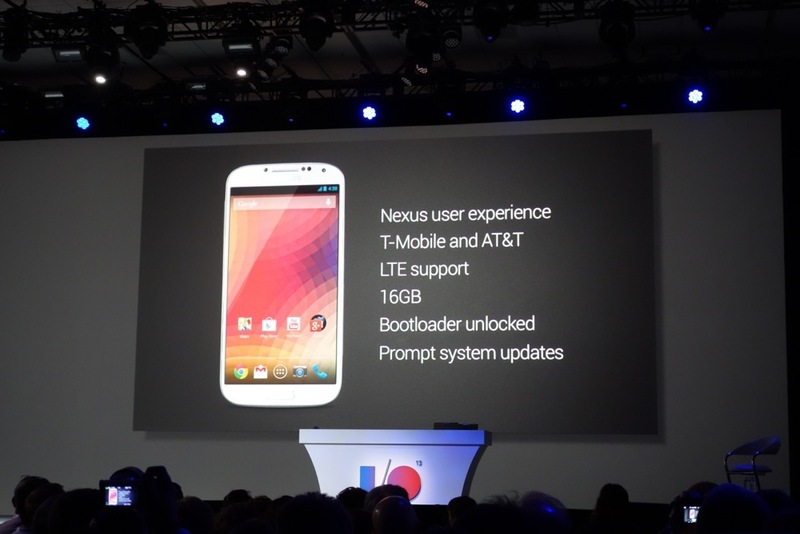 Google, on stage during the I/O keynote, just announced that they will sell a Samsung Galaxy S4 directly through Google Play with an unlocked bootloader, stock Android experience, LTE support, connectivity on AT&T and T-Mobile, with a “Nexus experience,” and as a device that will receive updates promptly. 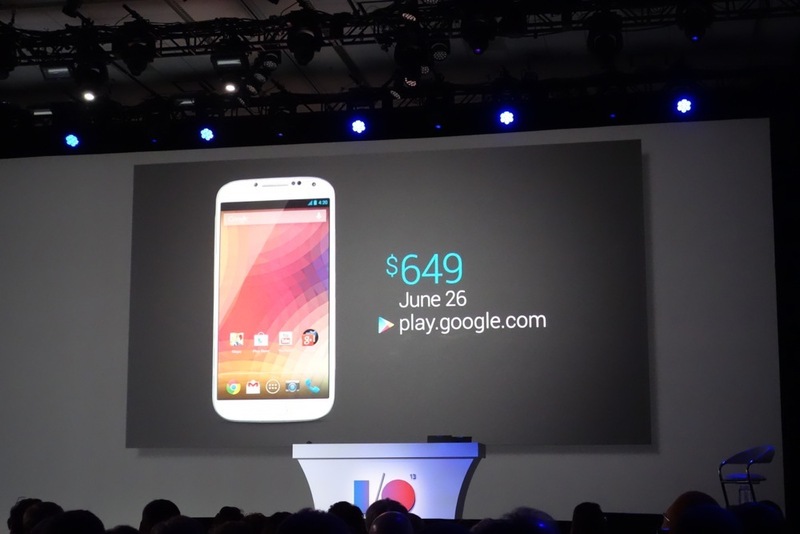 The device will launch June 26 on Google Play for $649. If you wanted the Galaxy S4 as the clean phone you always envisioned, this is your chance to get it. Be sure to watch along as they unveil more during today’s keynote!